First of all, Head Hunting is a complete process in which the head hunters recruit some senior level employees to run an organization or so. This process requires very careful understanding of different concepts, which outlines the need of Professional assistance in this regard. 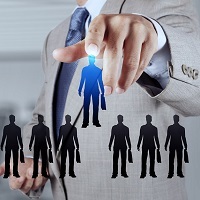 Pull In Jobs is a Placement Consultancy known for offering Professional Head Hunting Services in Jaipur, Rajasthan. Experience and qualifications are two of our major factors for the Head Hunting Process.